You should be checking your air filter once a month?? Cut costs and save space in your home by getting an electrostatic air filter; It’s a permanent washable solution to regular air filters with no electrical hook-up required – It relies on the natural electrostatic attraction created by air flow. An electrical air filter removes up to 89% of common indoor pollutants. 2) Conserve Energy – A dirty system works harder. By regularly replacing your indoor air filter, your system won’t have to work as hard – saving you money on the energy costs. 3) Protect HVAC Systems – A dirty and overworked HVAC system also means that there is a better chance it breaks down. HVAC systems are costly to replace so make sure you get the most of them by consistently replacing your air filter. 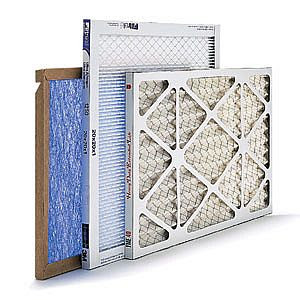 At presto air we offer a wide variety of air filters that are custom made for YOUR air conditioning unit. Many people are unaware of their options we are here to help!! It sounds like replacing the air filter in your air conditioner is really important! I just had air conditioning installed in my house and I want to keep it running efficiently. I’ll make sure to replace the filter regularly. What type of filter do you think would be the most durable? I like all of the good tips this article has about reasons to change an air filter. I think it is smart to do so because it looks like your air quality will be better, can save energy, and the system will work better. I like the fact that some are washable, bet that saves more money. Yes, I definitely agree with what you said. We can avoid to have allergy when we maintain the cleanliness of the filter of the air conditioner. I also think that when the air conditioner filter is clean ,the air conditioner will function very well and will not consume a lot of energy cost. Thanks for sharing these article.